There are several factors that determine the life of industrial pumps as they work under varied conditions. Regular checkup and preventive maintenance is necessary to be performed as it can identify common problems. The capability of a machine to convert one form of energy to another is what determines the efficiency. 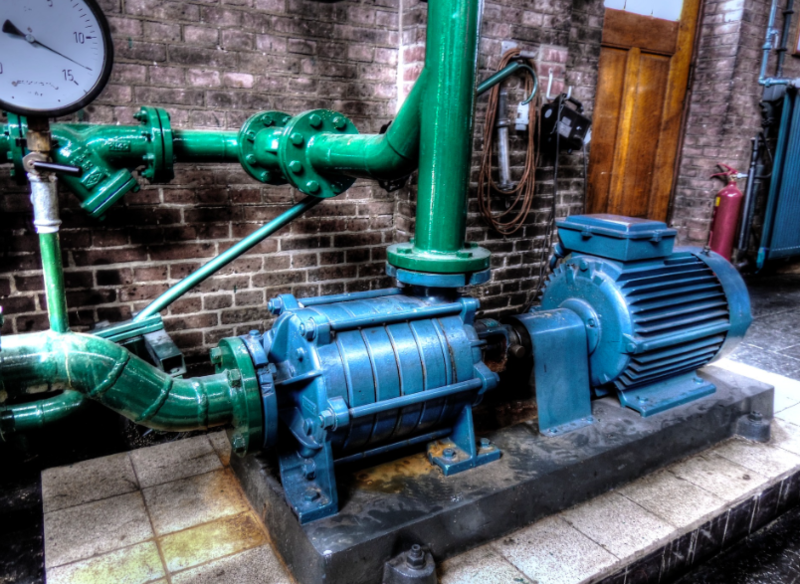 Industrial pump systems function under different pressure levels and temperatures that can take a toll on their efficiency. These are some of the usual problems that affect the efficiency of centrifugal pumps. When your piping system begins to have leaks, your pump’s performance gradually drops. Hot air in the system can result in wear and tear on mechanical joints, vibrations, progressive loosening and expansion that are the major reasons why leaks occur in pumps. Call a pump engineer to fix the pipe leaks, tighten loose joints or replace corroded seals. The liquid that flows through a pump system is known as pumpage. The pump’s flow and its efficiency can be affected by change in the liquid’s viscosity. This may occur due to environmental and process factors like temperature fluctuations. However, occasionally pump problems may be evident only when your pump starts slowing down. A pump engineer will be able to evaluate the performance of the pump to check if it has been outstandingly impacted. Variables like fluid’s temperature and viscosity are assessed by the pump engineer. The formation and accumulation of bubbles around a pump impeller results in cavitation. The tiny bubble collapse or burst that result in a high energy shock wave inside the liquid. Make sure the right pump is installed to prevent cavitation. A pump that operates at a lower pressure or higher temperature levels than it is devised to can cause cavitation. A pump technician will be able to assess if your pump is running at the right operating conditions and rectify a problem before it completely damages the impeller. A pump curve is the data that compares a pump’s potential to produce flow or push liquids against the maximum pressure it can deliver, which is known as a pump head. A pump that operates below its standard curve is a concern. Preventative measures will ensure that that the pump operates at its standard curve so that the speed and flow are aligned. A maintenance routine involves a technician measuring the pump’s flow and the total head, and then compares these with the pump’s standard curve. A pump operating below its curve requires a technician to diagnose the root cause so as to recommend solutions to increase system flow and save on a replacement that can be avoided. A pump’s efficiency will not only slow down, but also damage other equipment due to leakages, low flow and other problems. A skilled technician will be able to offer solutions to prevent a pumping system from damage, increase its lifespan and reduce operational costs. If you are in charge of purchasing equipment, you need to keep in mind various factors such as the scale and duration of the project, the company's budget, and the usability of the equipment for your current or future projects’ activities. If your company’s budget is your main concern, buying a equipment may not be a viable option. You can rather invest in buying quality used or unused equipment, or surplus equipment from a reputed equipment buying and selling dealer. Ensure that you check the equipment for the problems listed above before making the purchase. Pumps are a high-cost investment and thus should be maintained well. With regular diagnosis by technicians and professional help, you can sustain them for a longer time. The author is Avi Patel from EzyTrader.